Competition season starts in Japan! Two Jingu Ice Messengers teams took the ice this weekend in Tokyo. 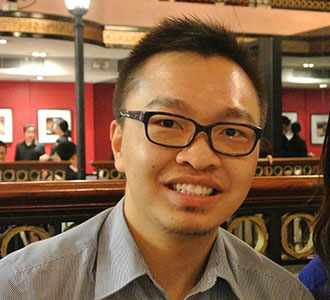 Read more to discover what they have for this new season. Fans of synchro have been eagerly waiting for new competitions. And we are excited to have coverage on synchro competitions since early this season from Japan. The 2018 Tokyo Summer Figure Skating Competition which encompassed multiple disciplines of figure skating took place on 24-26 August and synchro event was held on the last day in the Dydo Drinco Ice Arena of western Tokyo. A total of two teams participated in this local competition where a 3-minute program was required. 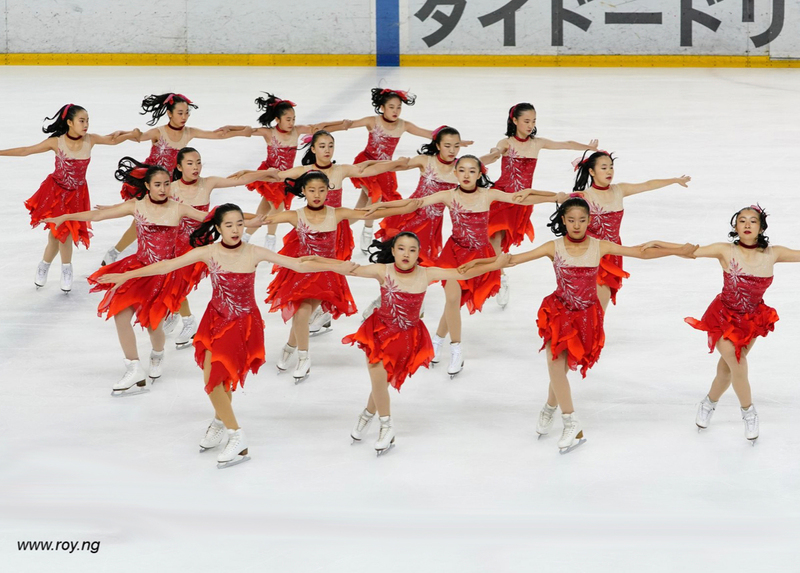 The Juvenile team of Jingu Ice Messengers skated first to a selection of cheerful and uplifting Sound of Music soundtracks. 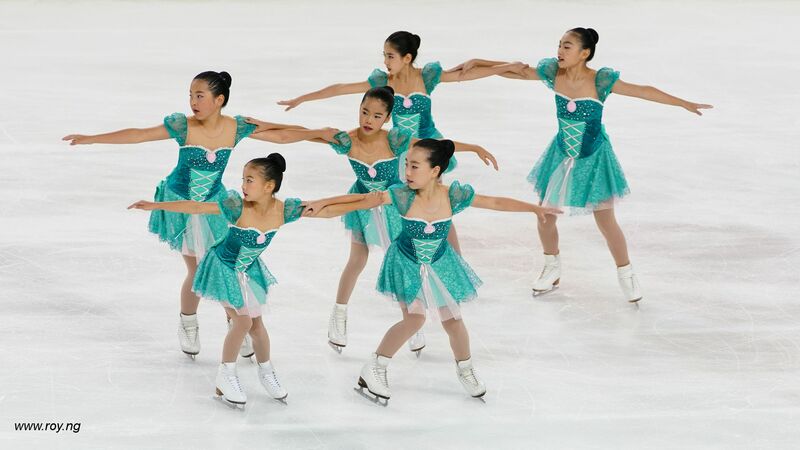 Dressed in intricately decorated turquoise green dresses fittingly inherited from the last season, the six skaters skated with confidence in front of a large crowd of enthusiastic spectators who were very eager to find good spots to watch the season’s debut. With the limited number of skaters, some elements such as traveling wheel were more readily recognized than others. They skated clean with no fall and scored 34.20 points under the new judging system. Jingu Ice Messengers novice team then took the ice with their "West Side Story" program. Their sharp flaming red dresses with golden leaves pattern embroiled were testaments of their flair. Despite beginning very early in the season, they laid a good foundation during training before and achieved arm-leg position was well matched and timed. Pivoting block was well formed throughout and it earned much admiration from spectators. At the end, they received 50.79 points after deduction from a fall at wheel. Coaches mentioned that they started planning for the programs since May and skaters just returned from training camp not long ago. They looked forward to polishing the programs further and leading the teams to Japan National Championship to be held in early March 2019. Indeed it is good to see they have a full novice team of 18 skaters this season and potential of these energetic teams we just saw is unlimited. Until the next Japanese competition we can keenly anticipate how their programs continue to evolve and be refined as they gain further experience working along with new teammates and new rules. We can only speculate what senior team have up their sleeves.